Listen to RotoWire's fantasy experts through our fantasy sports podcasts and our radio show on SiriusXM. James Anderson and Clay Link take a weekly look at all things prospects, including organizational rankings, scouting profiles, and much more! John Halpin talks strategy with the award-winning RotoWire staff and the top fantasy football minds around the industry. In season, John will be joined by Jake Letarski, Tim Heaney, and other special guests! A two-time finalist for the Fantasy Sports Writers Association Podcast of the Year Award, the RotoWire Fantasy Soccer Podcast is the no. 1 daily fantasy soccer podcast in the United States and one of the most popular for season-long players as well. Covering the English Premier League, UEFA Champions League, Major League Soccer and more, the RotoWire Fantasy Soccer Podcast includes weekly match previews and reviews, as well as standalone strategy discussions to help listeners better understand and improve their fantasy soccer play. Listen to Nick Whalen, James Anderson, Shannon McKeown, Ken Crites, Alex Barutha and others talk fantasy basketball every Monday through Friday throughout the season. The RotoWire Fantasy Hockey Podcast is co-hosted by Paul Bruno and AJ Scholz. The podcast covers all angles of fantasy hockey from training camp through the playoffs. Episodes are recorded weekly. This podcast is where RotoWire's Chris Liss airs his personal grievances (of which there are many) and half- and fully-baked observations about life, interspersed with fantasy football, fantasy baseball, survivor, and DFS talk. Rotowire Fantasy Sports Today is on Sirius XM satellite radio and hosted by Jeff Erickson and Chris Liss. It's available on XM channel 87 and Sirius channel 210 weekdays from 11 am - 2 pm ET. A podcast is an audio broadcast, like a radio show, that is downloaded to your computer or mobile device so that you can listen to it whenever you want. Are the podcasts free to listen to? Yes, our podcasts are available for free and and subscribing through iTunes is free as well. RotoWire TV is also completely free. Our Sirius XM radio show is only available to satellite radio subscribers. See the instructions further down the page if you'd like to sign up for that service. I'd like to sponsor a podcast or video series. Who should I talk to? For sponsorship inquiries, please contact Shannon McKeown. You can email him for more information at shannon@rotowire.com. If I have a question about the podcasts, who should I contact? You can email us at support@rotowire.com. How do I subscribe to RotoWire's Sirius XM show? 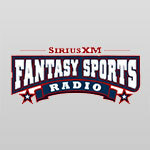 RotoWire Fantasy Sports Today is available on XM channel 87 and Sirius channel 210 weekdays from 11 am - 2 pm ET. It's also available streaming online via Sirius.com or XMradio.com between 11 am and 2 pm ET. Take a 30-day trial to test it out. How do I call in to the Sirius XM radio show? You can call in with your questions at 888-XM-FANTASY.